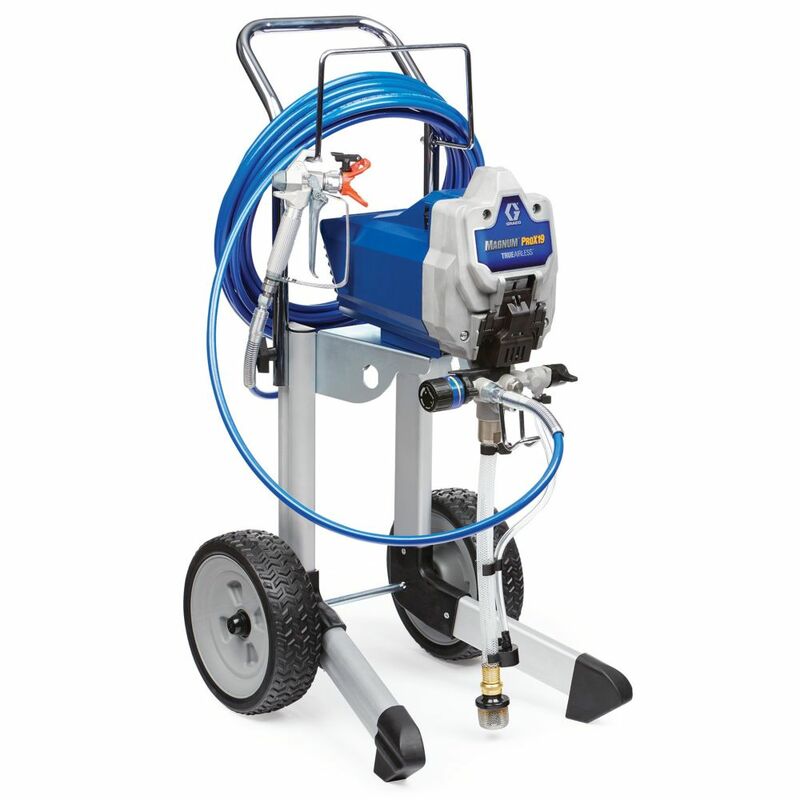 Graco DuraFlex Airless Paint Hose with its superior flexibility and durability is designed for ease of use while spraying under pressure. Minimal hose coil memory reduces tangling and kinks when uncoiling or coiling or moving the hose around the project. Conductive core meets the highest safety standards. Magnum ProX19 Cart Paint Sprayer Revolutionize your workday with the Graco Pro Series sprayers. Property maintenance pros, remodelers or general contractors turn projects around smarter and faster with the ProX19. The ProXChange Pump Replacement System allows you to replace the pump on the job with no tools, eliminating downtime and keeping you spraying.